For those using a Windows PC to prepare the SD card for Banana Pi one good method to extend the partition is to use the free edition of "Paragon Partition Manager". That is what I've used for extending linux partitions both for the Raspberry Pi and for the Banana Pi. Try the raspi-config, you can resize the partition (need reboot but works). "Xaneth" fdisk method is very useful for this and worked very well. On the other hand, added partition seems to be full. 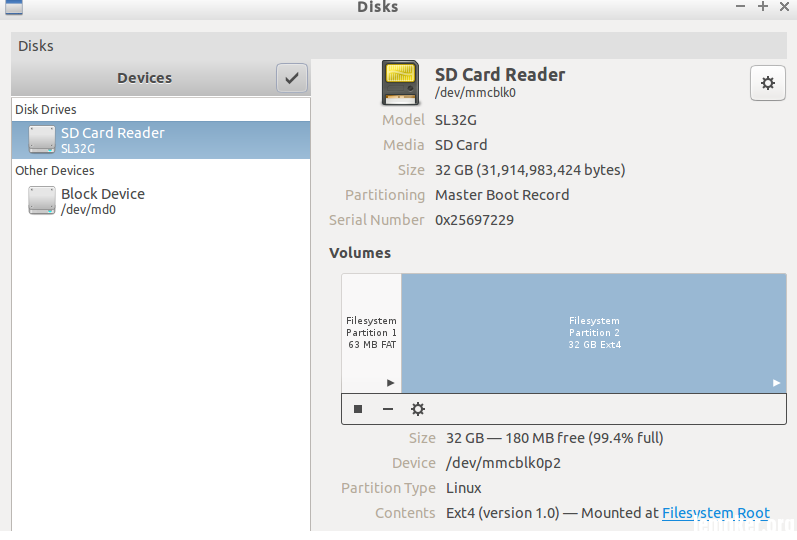 After merging those partitions, final partition has same empty space as before. Thanks glnds, for the link to the tutorial. Problem fixed in under 2 minutes. im not sure what you did was a good idea there. its usually best to have a linux based partition in ext4/3 for efficiency and running speed with linux. the gparted way does seem more recommendable. when i get my pi ill post a video on youtube and my personal website and link here and other posts where formatting and extending the partition size are posted. This worked for me ... i didn't have any problem.